The work of the Transportation Security Administration (TSA) is serious business, screening people in airports before they board. It’s no secret that certain items are not permitted in carry-on luggage, but that doesn’t stop travelers from trying to bring things on planes that they shouldn’t — and the TSA shares many of its finds on social media. 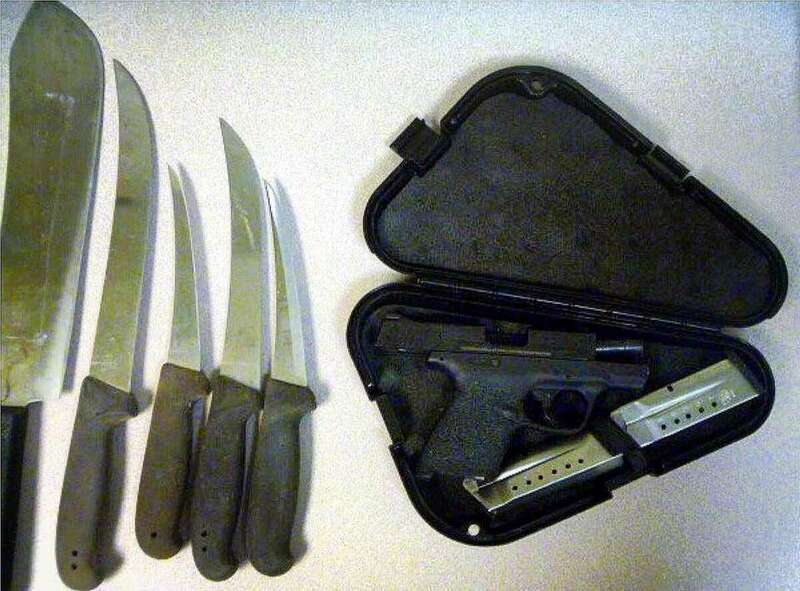 Here's a recap of some of the knives, guns and other potentially harmful objects the TSA prevented from entering planes — and how the agency described each discovery on its Instagram account, in its own words. tsa Holy purple projectiles, Batman! All batarangs, no matter the color, must be packed in your checked bags. This one was discovered in a carry-on bag at Providence (PVD). 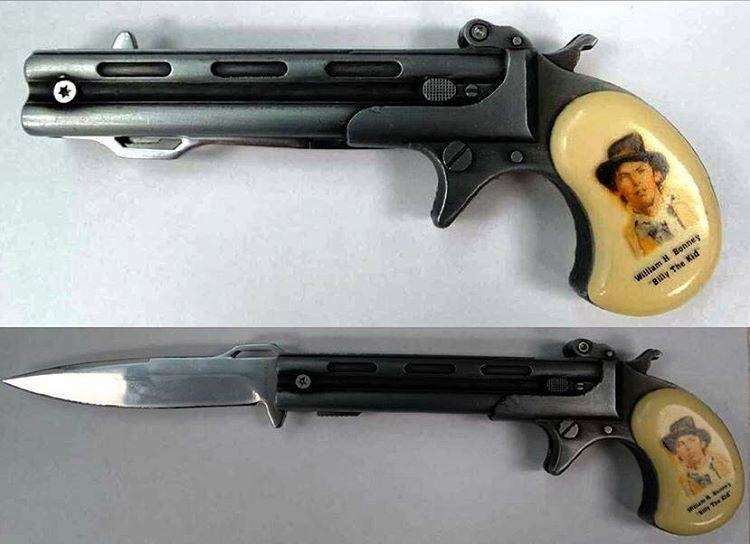 tsa Billy the Kid would know better than to bring a knife to a gunfight. This gun knife was discovered in a carry-on bag at Des Moines (DSM). All knives, even souvenir gun knives, are prohibited from being packed in carry-on bags. Please place them in checked bags. tsa Packing list: Socks. ✅ Toothbrush. ✅ Curling Iron. ✅ Post-apocalyptic bullet-adorned gas mask. ❌ While gas masks are allowed in carry-on bags, replica bullets are not. 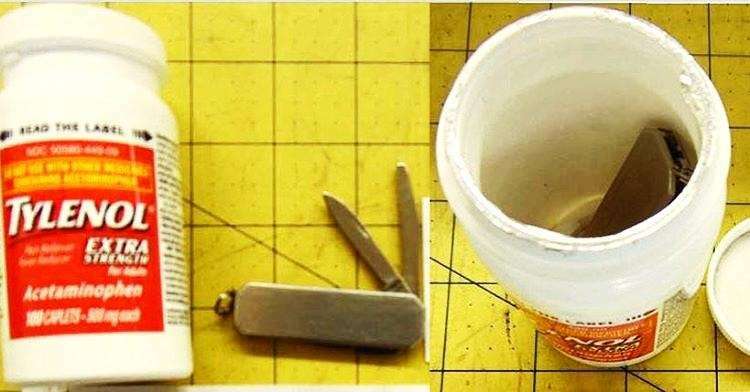 This was discovered in a carry-on bag at Miami (MIA). Maybe he was catching a one-way flight to #FuryRoad? 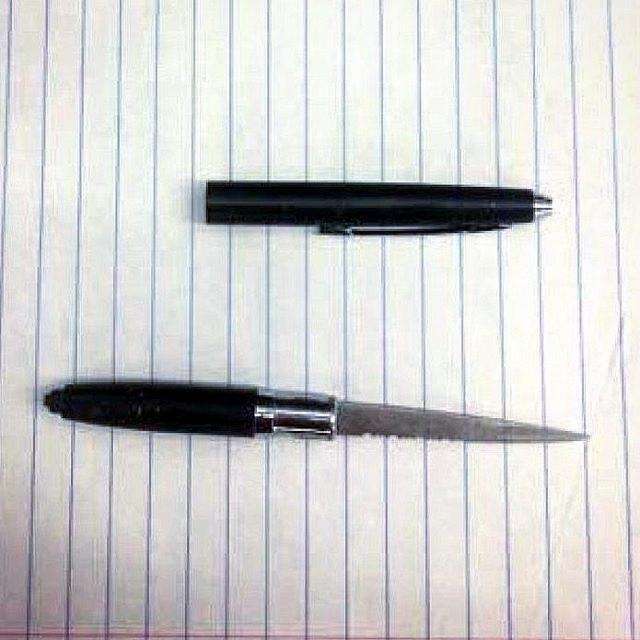 tsa Which is mightier, the pen or the knife? 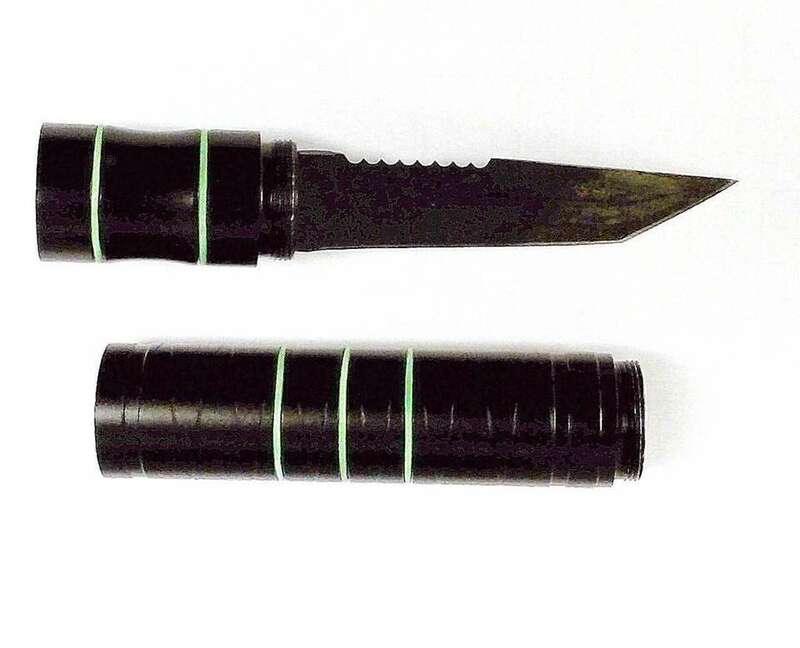 This pen-knife was discovered in a carry-on bag at San Juan (SJU). Concealed knives can lead to fines and arrest. tsa This dagger sure is fancy. While being fancy is fine and dandy, all knives are prohibited. 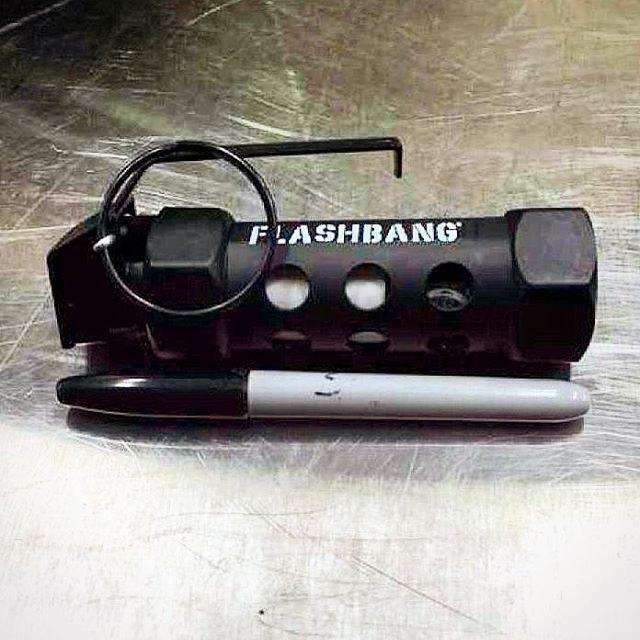 This one was discovered in a carry-on bag at Buffalo (BUF). Please pack all knives in your checked bags. tsa Not to put too fine a point on it, but this knife (concealed inside a flashlight) assembles in a flash. 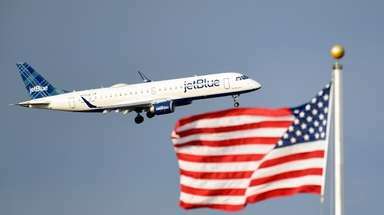 It was discovered in a carry-on bag at Los Angles (LAX). Knives are always prohibited in carry-on bags, but concealed knives such as this one can lead to fines and arrest. 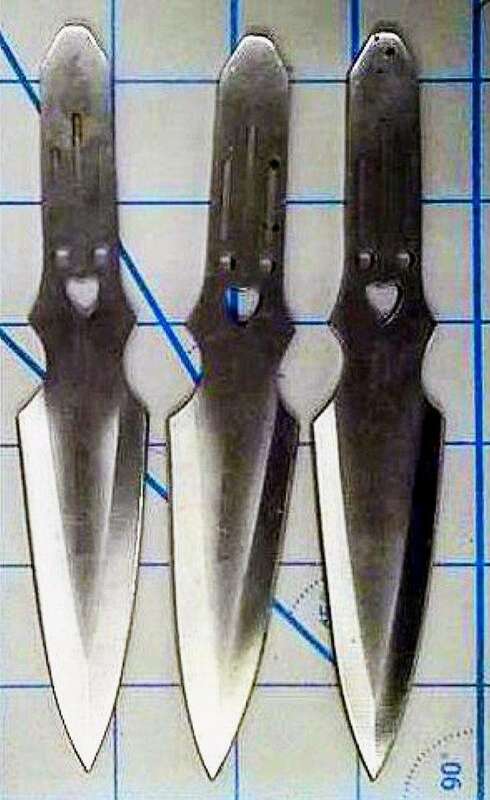 tsa These happy little throwing knives were discovered in a carry-on bag at San Diego (SAN). All knives, whether happy or sad, are not allowed in carry-on bags. Please place them in your checked baggage. tsa Holy cow! 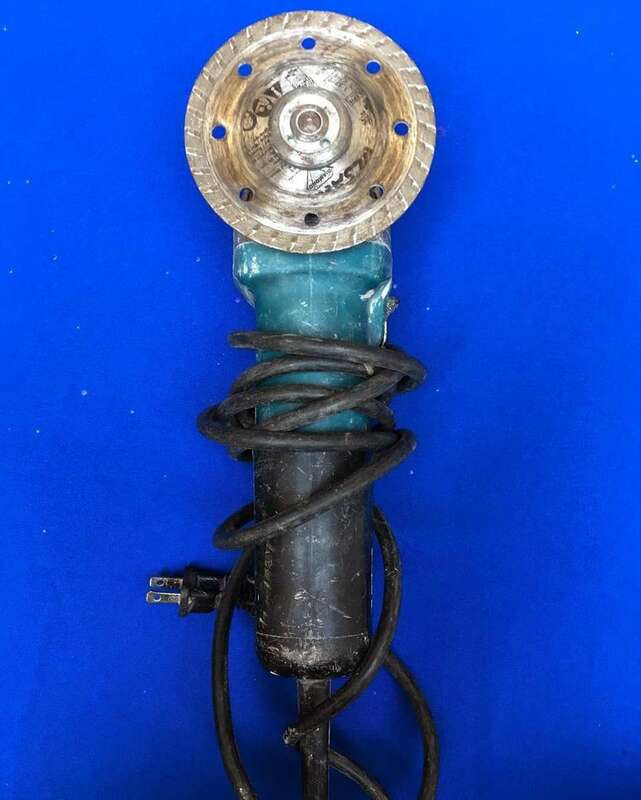 This cattle prod was discovered in a carry-on bag at the Chicago Midway (MDW) Airport . All shocking devices, especially cattle prods, are not allowed in carry-on bags. Please pack them in your checked bags with the batteries removed. tsa The owner of this shoe was literally on edge. 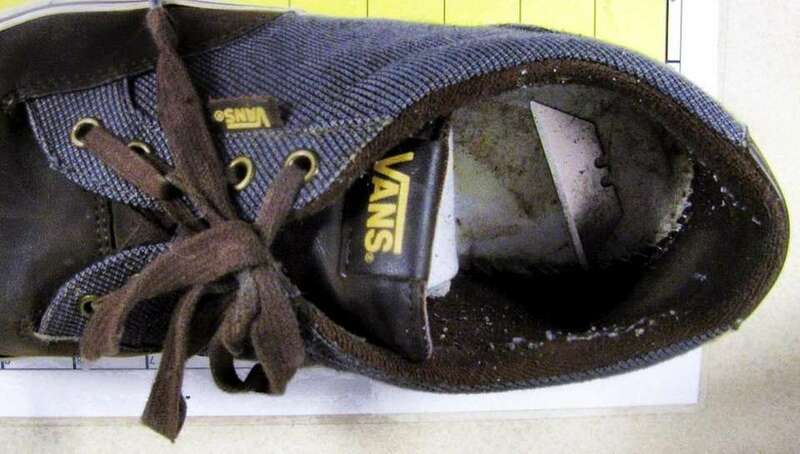 This razor blade was discovered underneath the insole of a Flint Michigan (FNT) passenger's shoe. Razor blades aren't allowed in carry-on bags (or shoes) and must be packed in checked luggage. tsa April 2012: Flying fish are found in the ocean, not on commercial aircraft. We hate to be a wet blanket, but spear guns are not allowed in the cabin of an aircraft and must be packed in checked baggage. 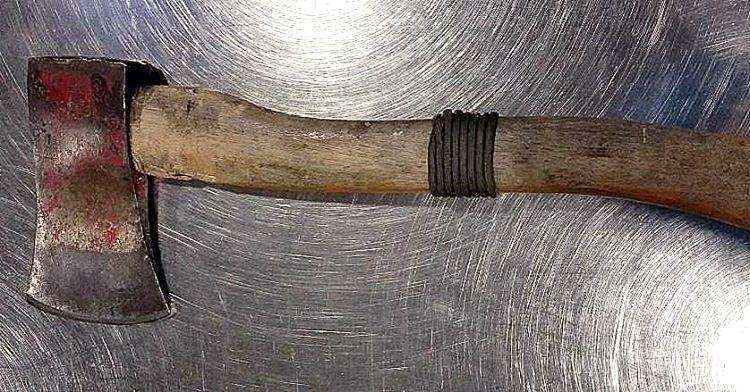 This spear gun was discovered in a carry-on bag at Raleigh-Durham (RDU). tsa This small knife was discovered in a pill bottle inside a carry-on bag at Jacksonville (JAX). Intentionally concealing a knife (no matter how small) can lead to headaches such as fines and arrest. tsa When in Rome, do as the Romans do, unless they're packing their short swords (gladius) in their carry-on bags. This sword was discovered in a carry-on bag at Atlanta (ATL). All short swords must be packed in checked bags. 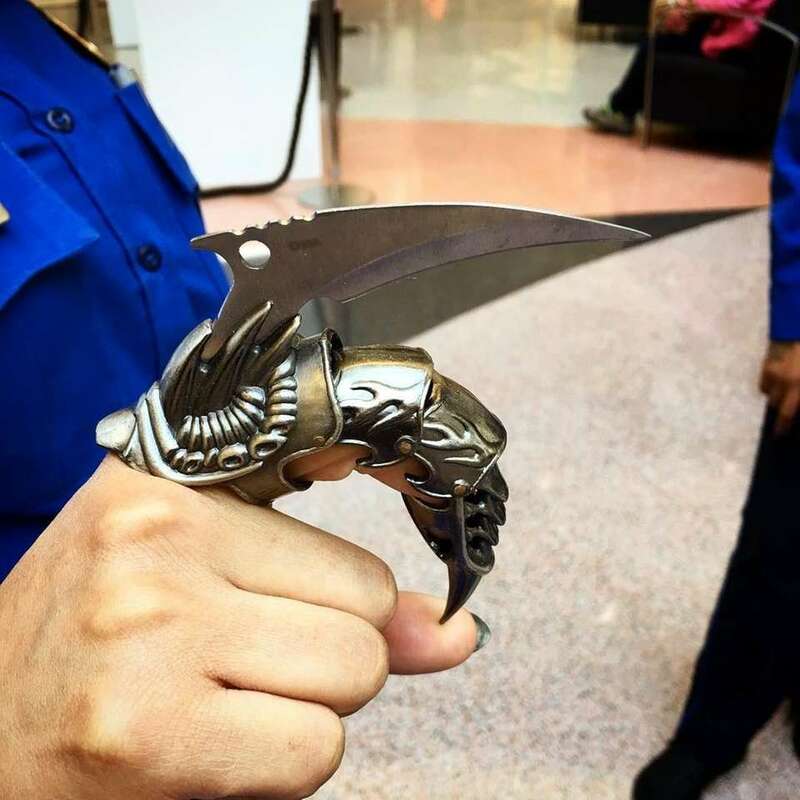 tsa We're pretty sure this isn't a letter opener. 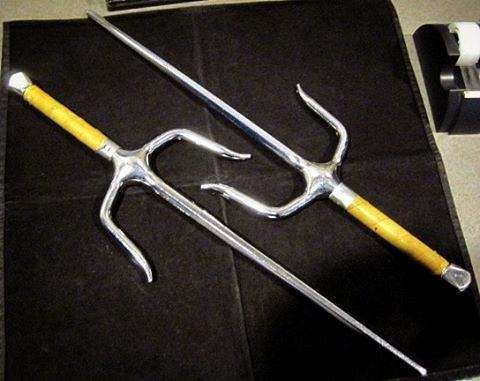 A bladed dragon claw perhaps??? Whatever it is, it should be packed in checked baggage. It was discovered in a carry-on bag at Atlanta (ATL). tsa "Fix bayonets" is something that you'll never hear in the cabin of an aircraft, so as with other knives, please pack your bayonets in your checked baggage. This bayonet was discovered recently in a carry-on bag at the Phoenix-Mesa Gateway Airport (IWA). All knives are prohibited in carry-on bags. tsa #TSATravelTips - Don't pack your homemade replica suicide vest. The traveler who packed this vest in his checked bag at Richmond (RIC) stated it was a prop intended for use in a live-action role-playing game (LARP). TSA explosives experts raced to the checked baggage room and the airport police were called immediately. Fortunately, the explosives experts determined the vest posed no danger. It has yet to be determined if the officer who searched the bag needed a change of clothing. tsa "Paging Davy Crockett to the security desk..." This powder horn full of black powder was discovered in a checked bag at Boise (BOI). Black powder is an explosive and is strictly prohibited in both carry-on and checked bags. tsa While firearms are prohibited in carry-on bags, you can pack them in your checked baggage, as long as you meet the packing guidelines: tsa.gov. 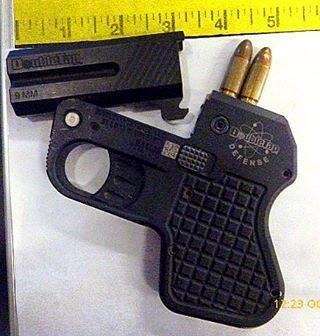 This pint-sized 9mm firearm was discovered recently in a carry-on bag at Dallas Love Field (DAL). tsa This angle grinder was discovered in a carry-on bag at Atlanta (ATL). Could this possibly be for splitting Aunt Betty's homemade dinner rolls? All power tools are prohibited from carry-on bags. They may be packed in checked baggage. tsa While firearms are prohibited in carry-on bags, you can pack them in your checked baggage as long as you meet the packing guidelines: tsa.gov. This loaded firearm was discovered in a purse at the Amarillo International Airport (AMA). tsa Most people prepare frozen turkeys, but if you need to travel with your axe over the holiday, please pack it in your checked bag. Hatchets are prohibited in carry-on bags. This one was discovered in a carry-on at Baltimore (BWI). tsa If you plan on gifting a grenade this holiday season, you'll need to find another way to get it to its destination other than commercial aircraft. All real and inert grenades as well as anything resembling a grenade are prohibited from both carry-on and checked bags. This inert grenade was discovered in a carry-on bag at Richmond (RIC). tsa This is an oldie but a goody. 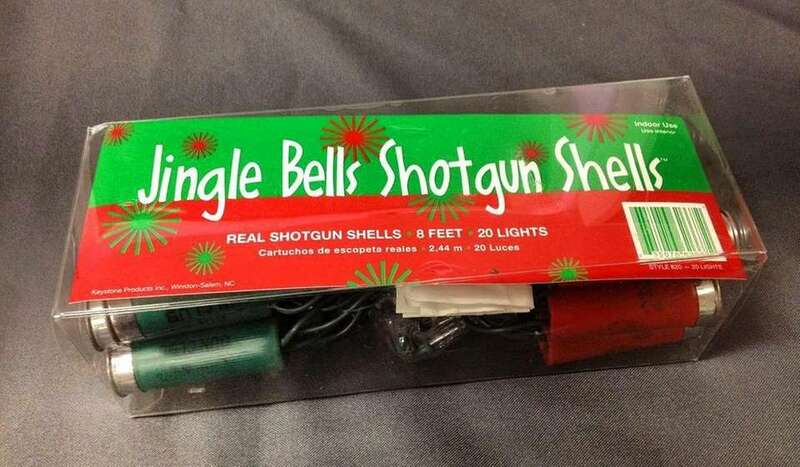 These shotgun shell Christmas lights were discovered back in December of 2012 in a carry-on bag at the Newark Liberty International Airport (EWR). All ammunition whether real or replica is prohibited from being transported in carry-on bags. This traveler wasn't up to anything malicious, so they likely still made Santa's nice list that year. tsa Just another case of somebody bringing an old flame along for the trip... 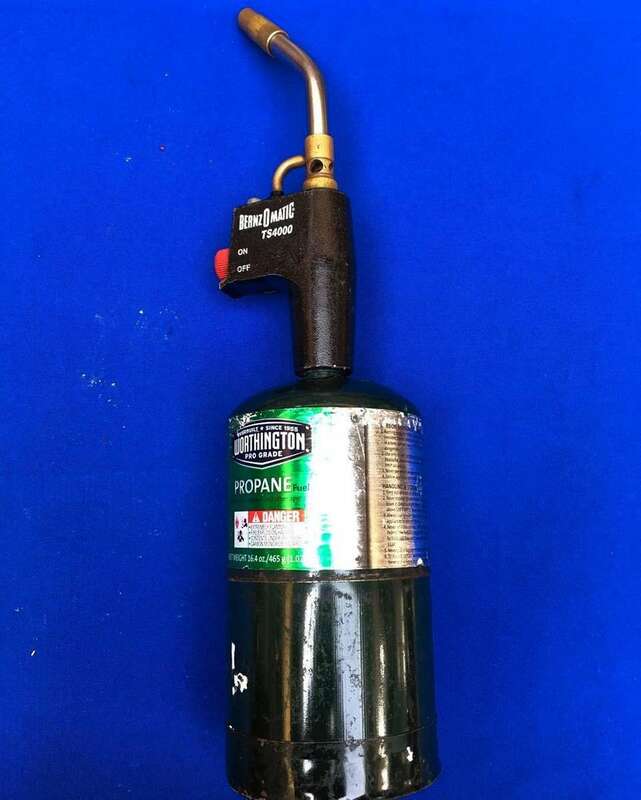 This blowtorch was discovered recently in a carry-on bag at Atlanta (ATL). The torch head is permitted, but the propane canister is prohibited in both carry-on and checked baggage. tsa In addition to the normal travel necessities, this Austin (AUS) traveler brought along their firearm and cutlery set. 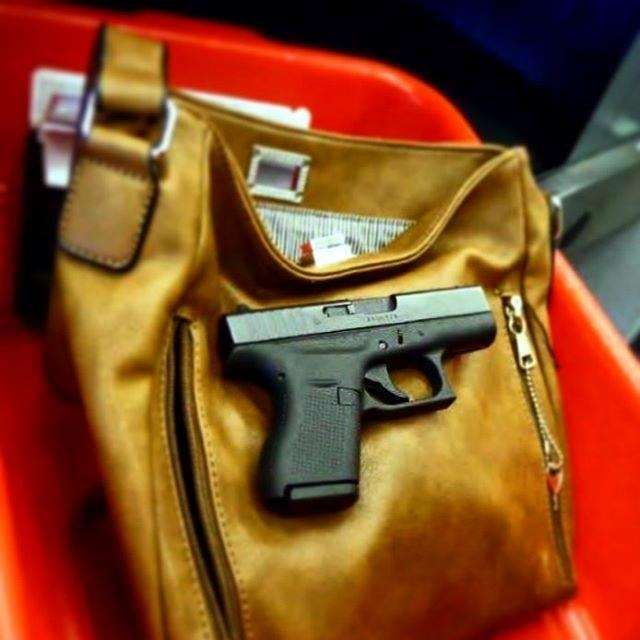 While firearms are prohibited in carry-on bags, you can pack them in your checked baggage, as long as you meet the packing guidelines: tsa.gov. Knives can also be packed in checked baggage. 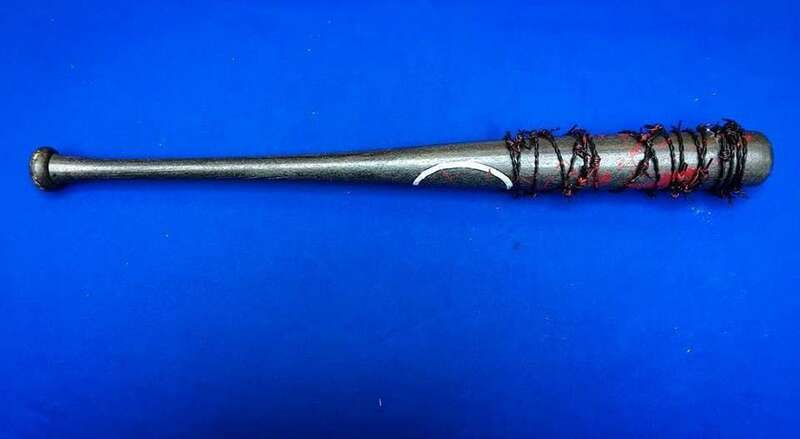 tsa This replica of @AMCTheWalkingDead's "Lucille" was discovered recently in a carry-on bag at Atlanta (ATL). The barbed wire is actually made from rubber and the blood is fake (we hope). However, baseball bats are prohibited from carry-on bags and must be packed in checked luggage...We're just glad Lucille wasn't thirsty. tsa Don't get yourself tangled up at the security checkpoint with a concealed comb knife. Knives are always prohibited in carry-on bags, but concealed knives such as this one can lead to a hairy situation such as fines and arrest. 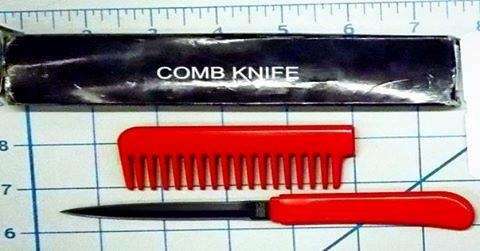 This comb-knife was discovered in a carry-on bag at San Diego (SAN). tsa This replica flashbang grenade is a novelty item that contains hot sauce. Flashbang grenades are used to disorient your enemy's senses, so I'm assuming this sauce would render your food tasteless? I know a few situations where that would have come in handy. 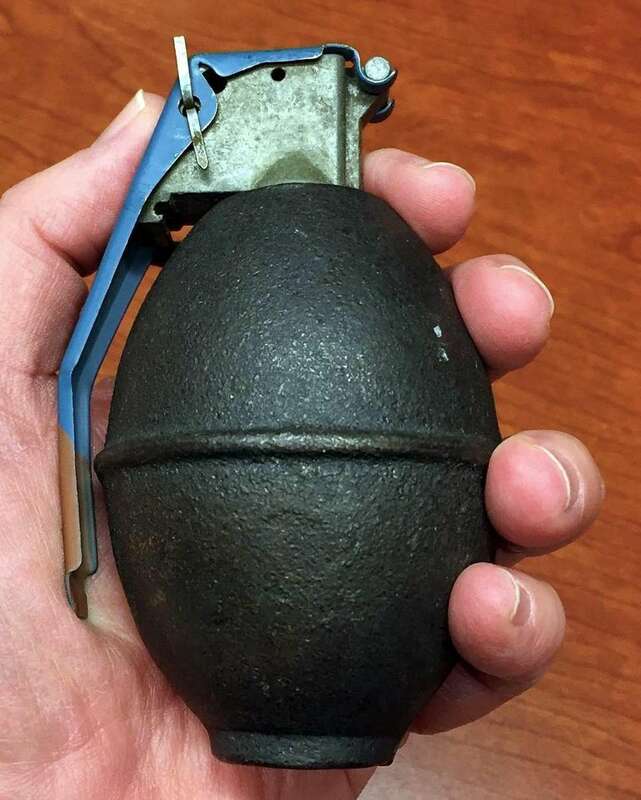 Anyway, grenades (live or inert) or any item that resembles a grenade is prohibited from both carry-on and checked bags. This replica was discovered in a carry-on bag at Kahului (OGG). tsa Is this some kind of confangled rotisserie contraption for turkeys? Nope. These are Sai. If you're a #TeenageMutantTurtle fan, you'll know the Sai as Raphael's weapon or choice. If you still have no clue, a Sai is a weapon used for striking, bludgeoning and punctures. Whatever it is you use them for, please know they must be packed in checked baggage. These were discovered in a carry-on bag at Boise (BOI). 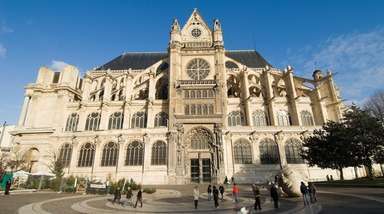 Sightseeing shutterbug? Show us your vacation photosWhether you're going on a one-tank getaway, or visiting one of the world's best cities, we want to see your photos. 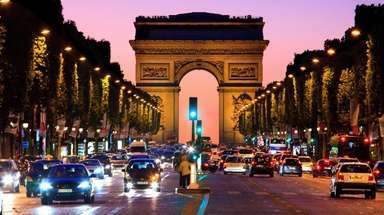 New travel apps, gadgets and gear you need nowThis collection of gadgets, gear and apps helps travelers cope.